The NY Times published a buzzy piece over the weekend titled "Silicon Valley is over, says Silicon Valley" — which chronicled a recent Midwestern bus tour for Bay Area VCs. They lauded the startups, gawked at the low home prices and learned that cities like Akron and South Bend have restaurants where you don't order microwaved food at a counter. The takeaway was that even though there "isn't a full-blown exodus yet," a growing number of Valley investors and tech execs are "flirting with the idea of leaving Silicon Valley." But don't worry Silicon Valley, you aren't losing your venture capitalists. Flirting is very different from deciding to have a fling, let alone a marriage. Just two weeks ago I told J that I could see us being happy living in Vermont. Then we drove home from our ski vacation. This isn't to say the bus trip, and similar excursions, don't have an impact. They do, in terms of coastal investment dollars flowing into Midwestern startups. And there is data to suggest that California-focused funds no longer generate most of the top returns. But investing ≠ relocating. "I suspect many of the folks who participated... will invest more outside of the valley, but I doubt many will set up shop outside of the Bay Area," says J.D. Vance. Vance, of course, is an exception to that rule. And there are others, like the co-founders of firms like Drive Capital and Cintrifuse. But they can still be counted on two hands. "For the local economy, we need VC investment more than actual VCs living here," says a Midwestern investor who preferred not to be named. "Hopefully they can make good deals here, which will help pay the rent back home." • Deal scoop: Kia reports that Mesosphere, maker of a "data center operating system," is raising $40 million in new funding. No comment from the San Francisco-based company, which previously raised nearly $125 million from firms like HP, Microsoft, Khosla Ventures, Andreessen Horowitz and Data Collective. • Chip chat: The hostilities ratcheted up even further yesterday, with Qualcomm accusing Broadcom of lying about its knowledge of the CFIUS process (and Broadcom replying, correctly, that Qualcomm was disputing something Broadcom never really said in the first place). Qualcomm has indeed pushed back today's shareholder meeting to April 5. Sen. Tom Cotton (R-AR) tweeted his opposition to the tie-up, which is a giant step beyond others pols' requests for CFIUS review.review. • San Diego Union-Tribune obit headline: Tower Records founder Russ Solomon dies while watching Oscars and drinking whiskey. • Trumpland: Gary Cohn reportedly is making his last stand on tariffs this Thursday, bringing a group of CEOs to the White House who believe their companies will suffer from Trump's plan for steel and aluminum imports. Why it matters: Because there is a growing belief -- or at least a growing suspension of disbelief -- that Trump could soften his stance, particularly due to pressures from both his own party and foreign allies like Theresa May and Justin Trudeau (the latter of which, the theory goes, might become more amenable to NAFTA changes were Canada to receive a tariff exclusion). But, but, but: No one really has a clue what Trump will ultimately do, particularly given his continued conflation of trade balances with balance sheets. And it is yet another reminder why administrations typically wait until major economic policies are fully-baked before publicly announcing them. 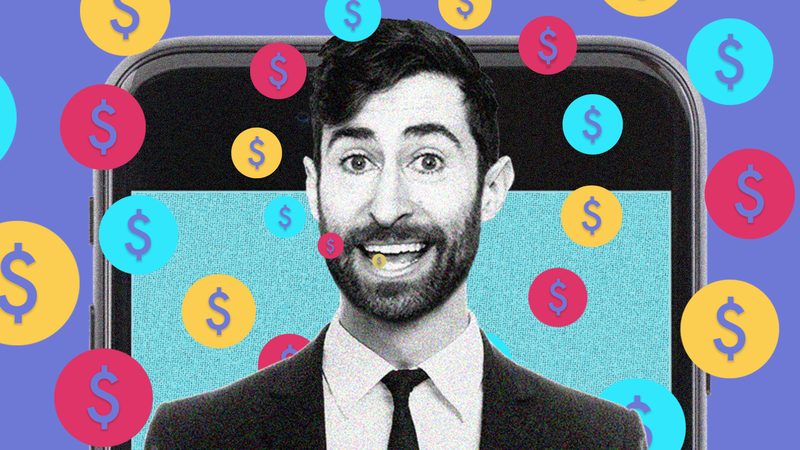 HQ, the live trivia game-show app, has raised $15 million in new VC funding at a $100 million valuation. Founders Fund led, and was joined by return backer Lightspeed Venture Partners. Why it's the BFD: Because, on Sunday night, HQ had more than two million people staring at their phone screens for a solid 15 minutes. It's millennial Jeopardy, but with interactive engagement. Go deeper: We've got much more on the deal, including the first statement from co-founder Colin Kroll on allegations of inappropriate behavior while with Twitter (which bought his last company, Vine). Bottom line: The investment thesis is that HQ can recreate the sort of appointment viewing — and associated sponsorship revenue — that is now largely absent outside of sports. • Madison Dearborn Partners and Torante Co. are speaking with bankers about strategic options for baseball card and candy company Topps Co., according to Bloomberg. Personal note: My grandfather ran a printing company that did Topps cards for much of the 1950's, including the 1952 set that is now valued at over $100,000. He saved exactly zero of them. Bottom line: Cutting ties with the NRA didn't have much immediate impact — positive or negative — on consumer perception. But there were big changes for retailers who changed rifle sale policies. Kabbage, a VC-backed online lender to small businesses, will stop funding for businesses that sell or manufacture assault-style rifles or ammunition. It also won't lend to businesses that sell any firearms to those under 21. Dating app Bumble will no longer allow firearms to appear in profile photos.